Best Volleyball Teams | Which are the best teams ever? Best Volleyball Teams — Which are the Best Teams Ever? Read about the best volleyball teams. Find out which are the most winningest teams in volleyball. Whether you are new to the sport, an avid fan, or even a player the chances are you have heard about these teams. Keep reading and you will soon realize that being on one of the best teams ever is no small achievement. This winning group of men brought volleyball to a new level of respect as a sport, especially in the United States. Notable accomplishments of this team began with the win of the Olympic Gold in 1984. Now, this was the year that the dominant Soviet Union boycotted the Olympic Games. But if this left people wondering whether or not the USA men’s volleyball squad was one of the best, they got their answer in the form of a resounding yes. Even with significant changes to this volleyball team’s roster, they went on to win an impressive string of tournaments and championships as listed here. Earning its place among the best teams of all time, the Italian Men’s National team owes its success to their coach, Julio Velasco. 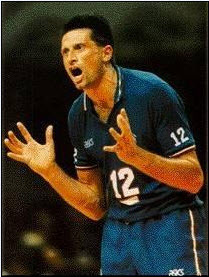 He prepared the team for the international court by changing and adding staff, analyzing and improving plays, and emphasizing team unity. This team’s winning streak began with a Gold medal at the 1989 European Championships and continued through the 1990’s with the following wins. This is one of the prestigious teams to be inducted into the volleyball hall of fame’s court of honor, recognizing the team for its significant commitment and contributions to the world of volleyball. Men’s national team of Brazil has virtually won everything in 2000’s. This team could be the very best volleyball team ever lived. No other team has dominated any era so clearly as this team. Between the years 2001-2008 this Brazilian team won nearly every competition they attended. The team of coach Rezende was marching from victory to another and totally dominated the sport in 2000’s. This women’s team holds an impressive decade worth of dominance in this sport. 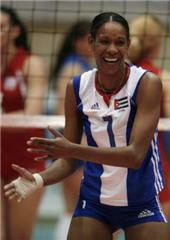 The leadership of their coach, Eugenio George led the Cuba women’s team to stand on the winner’s podium over 25 times! Nicknamed for their origin and success, the “Spectacular Caribbean Browns” have possibly the longest list of achievements of any of the best teams in history. Finally, in 2000 coach George received the honor of being named the best women’s volleyball coach of the twentieth century, by the Federation Internationale de Volleyball. Of all successful teams in volleyball, Eugenio George is probably the most widely recognized coach.